Are you trying to discern whether it’s the right time to look for a new call, or are you unsure how to tell your story effectively to search teams? This search and call workbook for clergy provides reflection questions and tips for every step of the process, all the way through to starting a new position well. 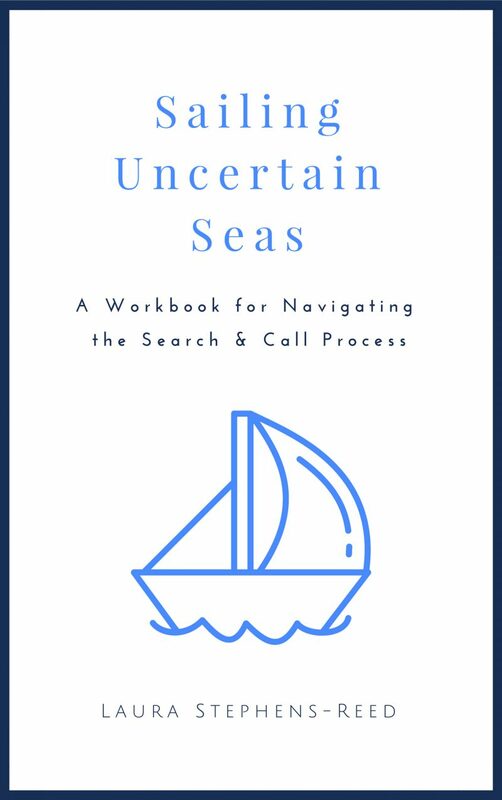 Click here to purchase Sailing Uncertain Seas: A Workbook for Navigating the Search & Call Process (Second Edition). Do you struggle to create margins in your life? 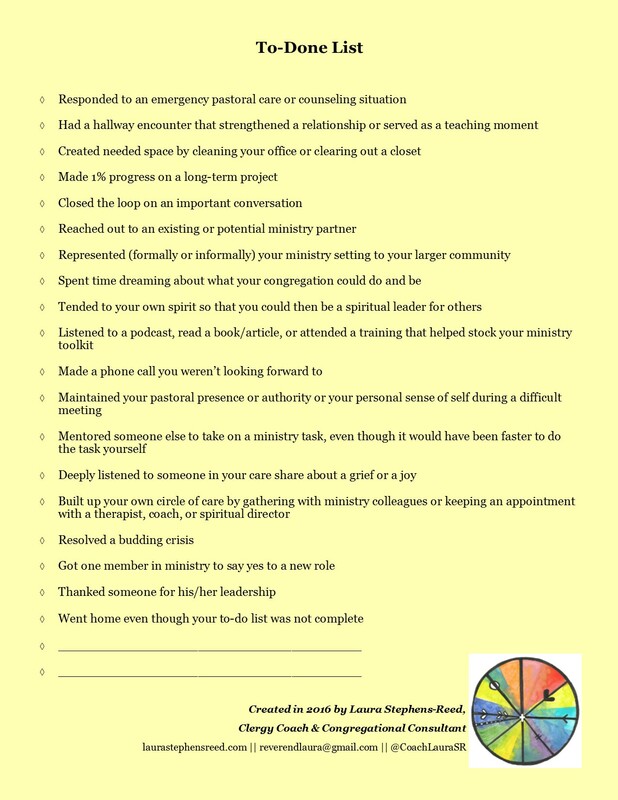 This workbook for clergy provides a framework, reflection questions, and observations for designing a self-care plan. 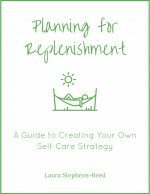 Click here to purchase Planning for Replenishment: A Guide to Creating Your Own Self-Care Strategy. 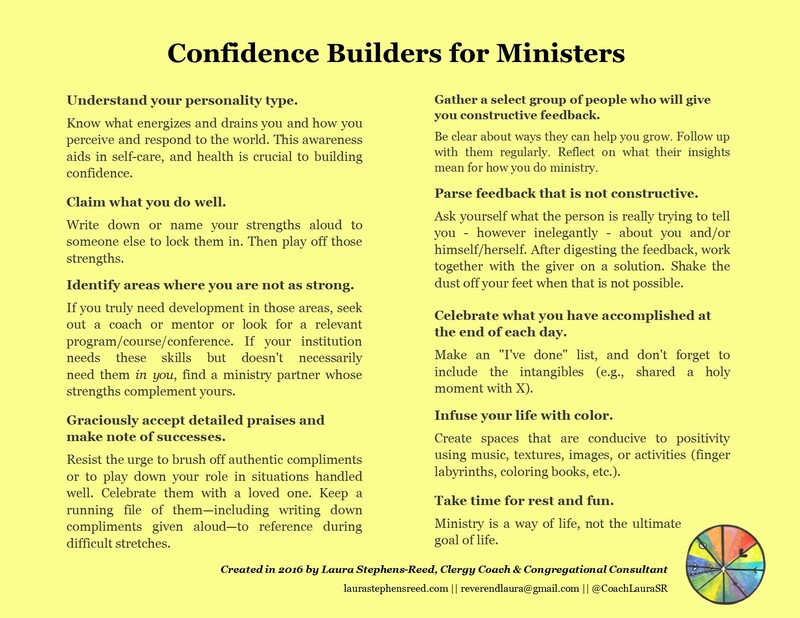 The resources below are free, and you are welcome to use and share them in digital or hard copy formats with proper attribution (Laura Stephens-Reed, Clergy Coach & Congregational Consultant, laurastephensreed.com).